Dating back to 2500 BCE, swimming and pools have been preserved on Egyptian walls and in ancient scrolls. It is always associated with summer, and the sport is blanketed across the television during the Olympics. Why, you ask? Well, swimming just happens to be one of the most beneficial (and popular) forms of exercise available. You may even say that it's the holy grail of fitness. Not only does swimming benefit the cardiovascular system and strengthens the body, it can also be an excellent stress reliever and low-impact recreational activity. Swimming in itself is unique. For instance, while swimming laps in particular, it is one of the few sports where all of the muscle groups in the body are being utilized at once. Certain strokes will provide different muscle groups with a solid workout, but generally, lap swimming and competitive swimming consists of upper body toning. Believe it or not, even at just 30 minutes a day of swimming exercise, the body can burn up to about 650 calories, which is far more than walking or biking (without all the impact). It builds endurance, flexibility, and even lung-capacity to name a few of its perks. And what's more? It's perfect for all ages. Basically, swimming is one of the most versatile activities, in that there are so many workout options that involve water. There's water aerobics, which focus on using the water's resistance in the shallow end of the pool, and building strength in the deep end of the pool by treading water and fetching weights. Additionally, swimmers will use various tools such as kickboards and leg buoys, which are excellent for focusing the workout on certain parts of the body. There are now even new workout programs that include aquatic spin classes! While swimming can be an intense form of fitness and strength-building, there are other methods to use this activity to heal and enrich the body. For example, swimming can benefit those with weight limitations, joint issues, or other ailments, because it is such a low-impact activity. This form of treatment is known as hydro-therapy. One of its main purposes is to strengthen the cardiovascular system, because the body is moving against the water's resistance, which is over ten times that of the air. Due to the buoyancy of water, swimming is ideal for those in physical therapy or rehabilitation, especially when swimming in a hot water plunge pool. This combination allows for the muscles to relax to increase circulation and restore blood flow to the body, while releasing endorphins. 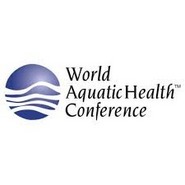 In October 2013, many will gather to discuss the solutions to ailments with hydro-therapy and topics on aquatic health benefits at the World Aquatic Health Conference in Indianapolis. This conference will help further promote swimming as a leisurely activity, strong workout, and relief from illness. Ultimately, whether the body suffers from tension or illness, loves to take a splash to cool off, or the wants coax its competitive side, swimming is the perfect full-body workout. Remember, at just 30 minutes a day, swimming can ward away the risk for chronic illnesses and rejuvenate the mind, body and soul. It's no wonder why so many people are jumping on the bandwagon, I mean, diving board! 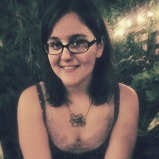 Adrienne Erin is a freelance writer and health enthusiast who thinks swimming is the best sport there is! You can see more of her work by following her on Twitter. Thanks for sharing this nice post here with us. Thanks for making this vewry useful content available here for us.